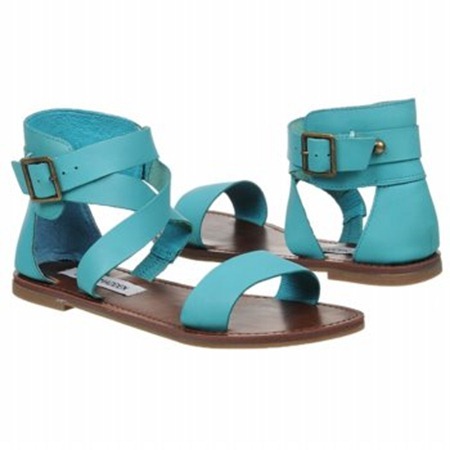 The Steve Madden Bethanyy is a beautiful turquoise gladiator flat sandal. The shoes have a leather upper with a round open toe and crisscross straps. Everything is adjustable and the footbed is comfort lined and has traction.